Así que no olvides ¡lleva siempre tu bolsa reutilizable! en eliminar las bolsas plásticas en el retail y supermercados. 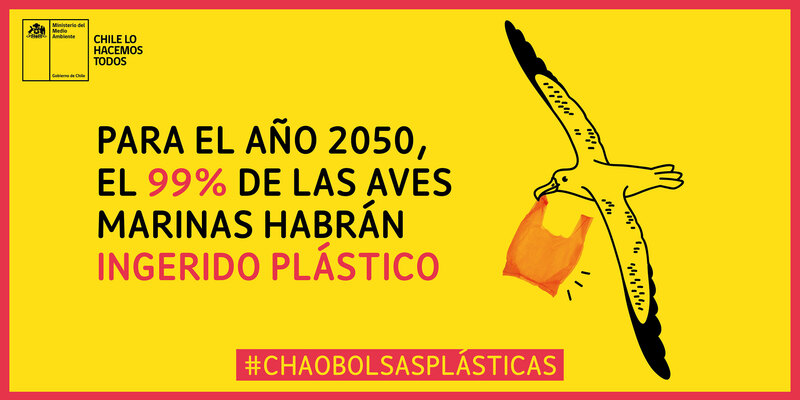 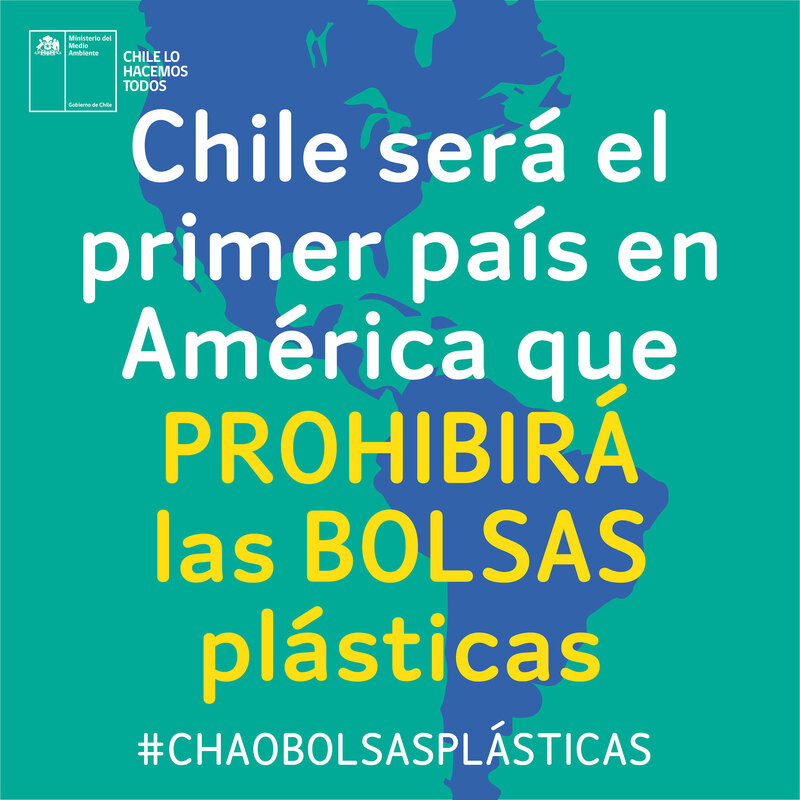 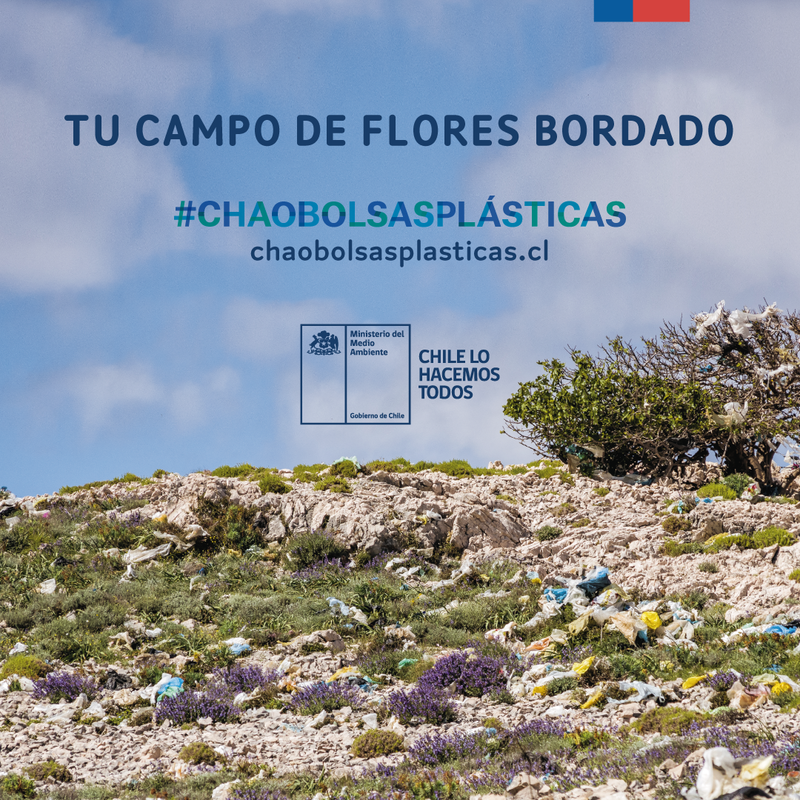 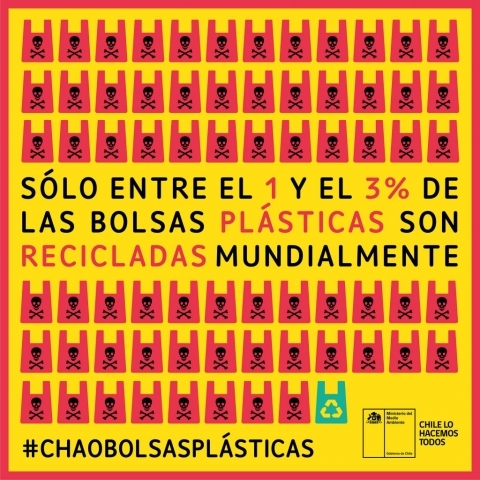 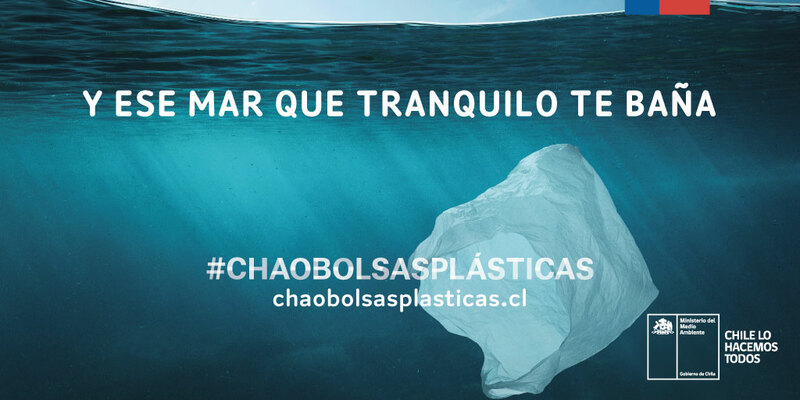 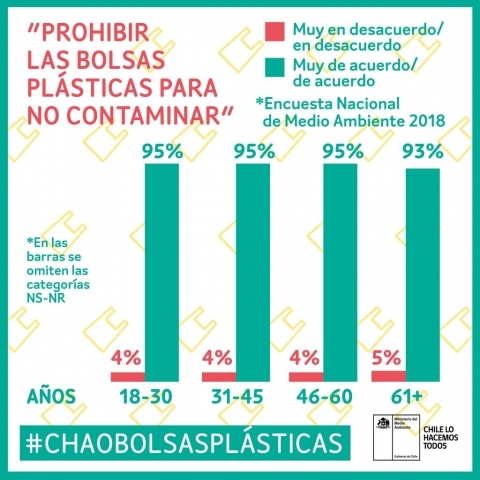 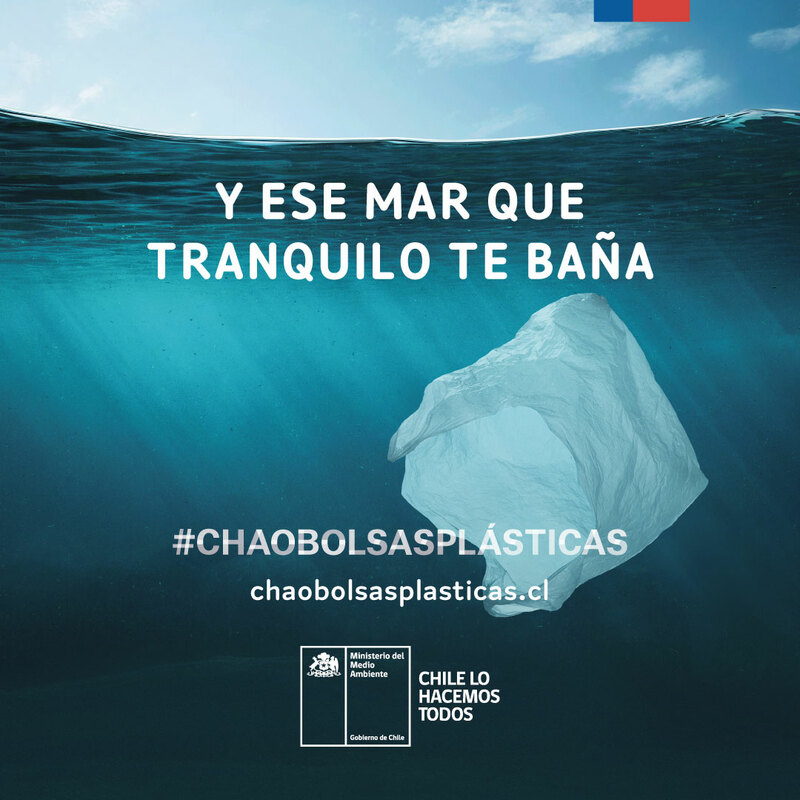 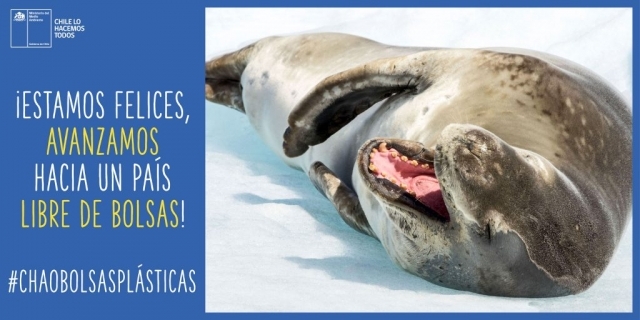 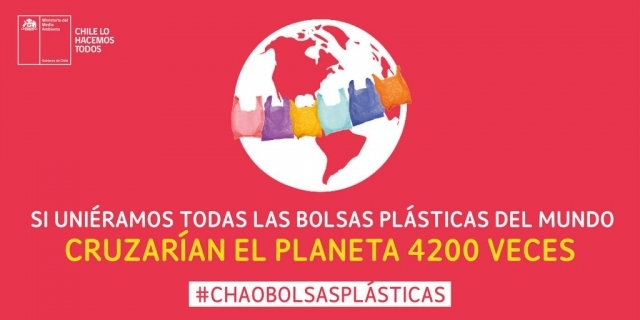 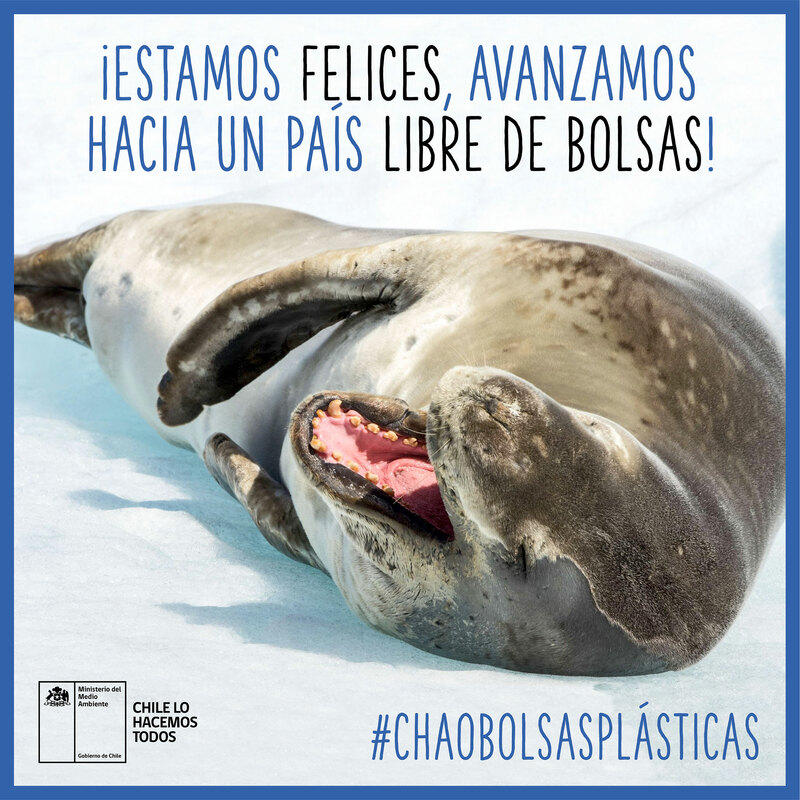 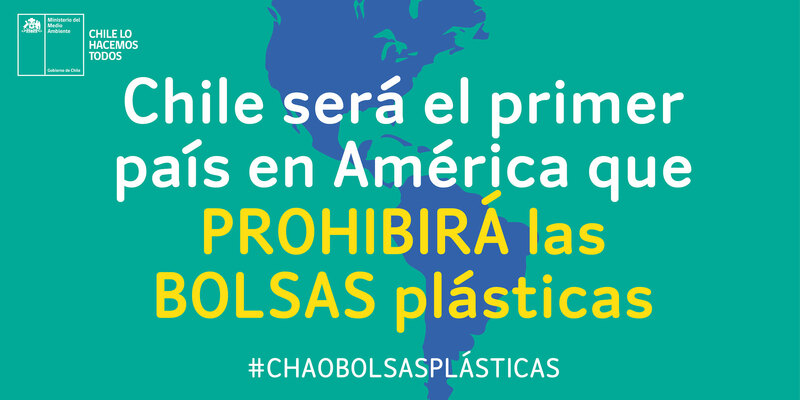 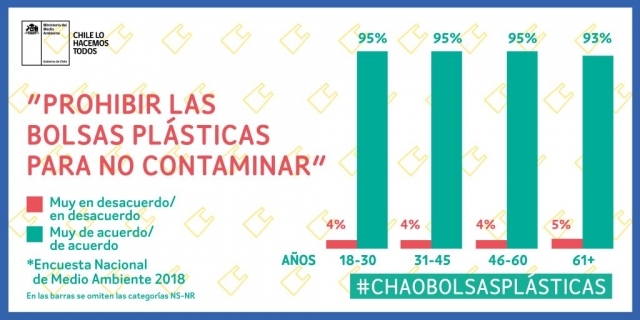 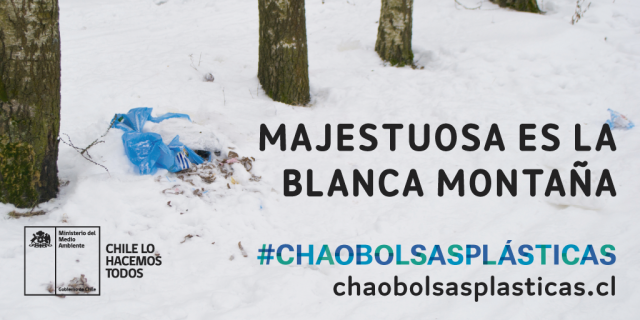 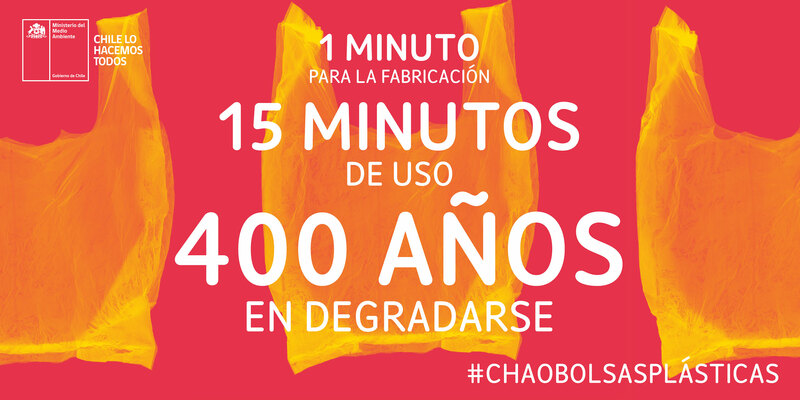 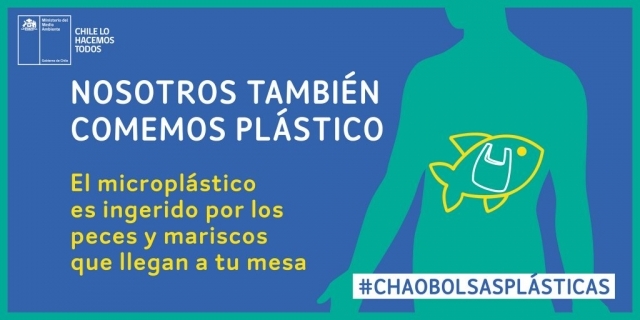 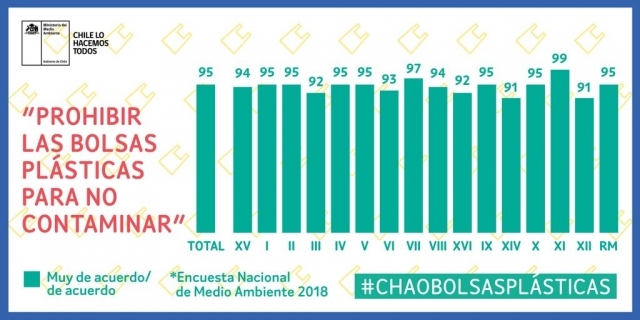 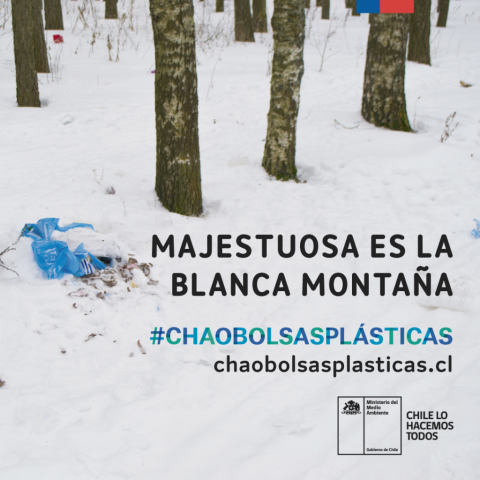 #ChaoBolsasPlásticas is the invitation to launch the Draft Bill that seeks to ban the delivery of plastic bags of the commerce throughout the country. 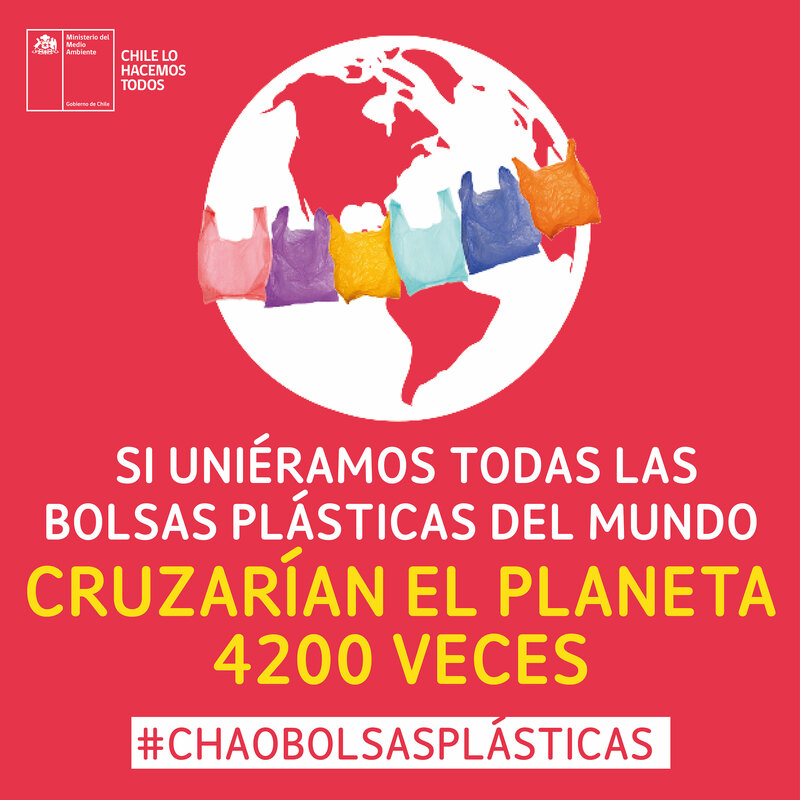 This is an initiative pushed by all political sectors, that seeks to minimize the misuse of plastics. 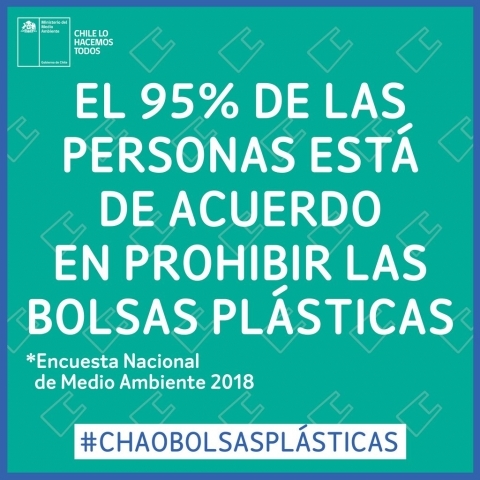 This law that has been in process for years. 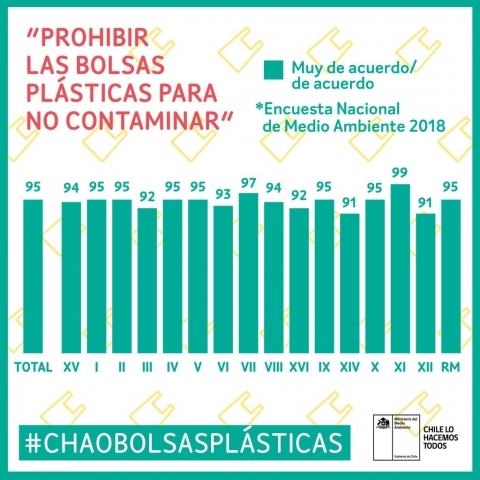 The Ministry of Environment has put the will and strength to take this initiative forward, in order to have a regulation that allow us to generate awareness, change habits and reduce waste generation as soon as possible. Article 3° Section 2 of Law N° 19.896. Draft bill subject to the approval of the National Congress. The concern for the impact of plastic bags in our ocean is transversal and, therefore, through the years, dozens of parliamentarians have promoted projects that seek to limit the use of these elements in our country. cities and towns that already applied this measure, which have ordinances and municipal agreements that regulate the delivery of plastic bags in commerce. 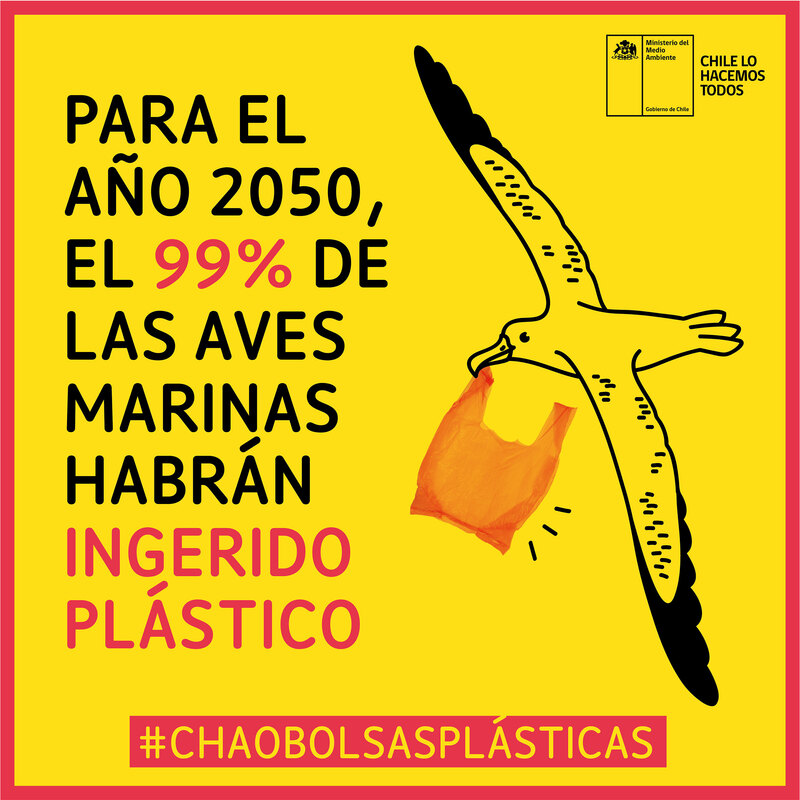 Of the respondents use reusable bags when shopping, so they do not have to use plastic bags. Of those consulted, agreed to prohibit plastic bags to avoid contamination. 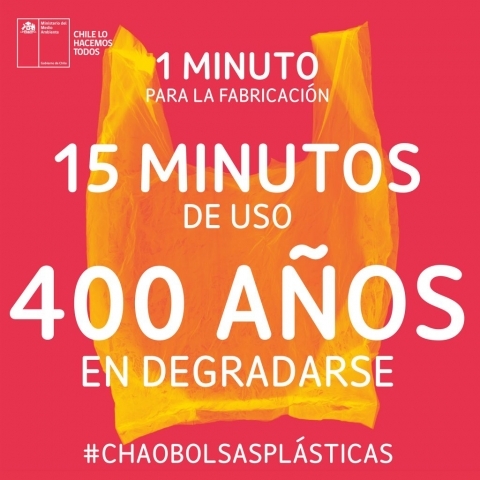 Disagree with banning plastic bags to avoid contamination. 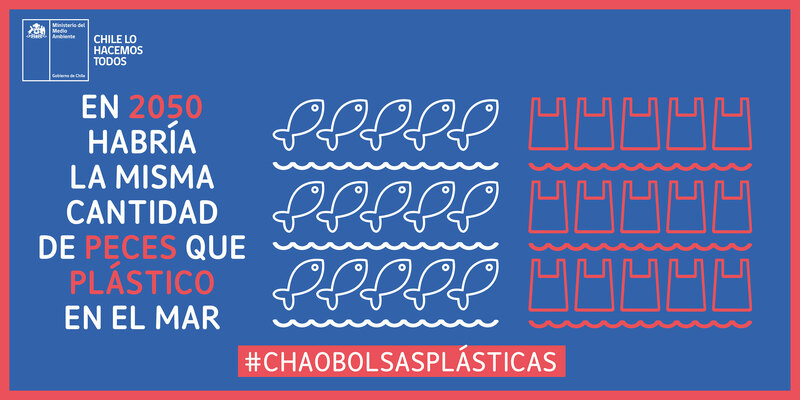 How much do you agree to ban plastic bags in order to avoid contamination? 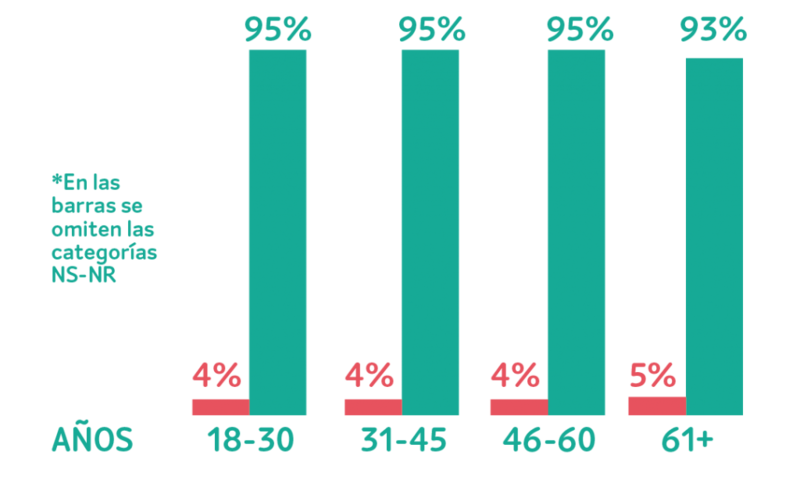 Graphics by age. 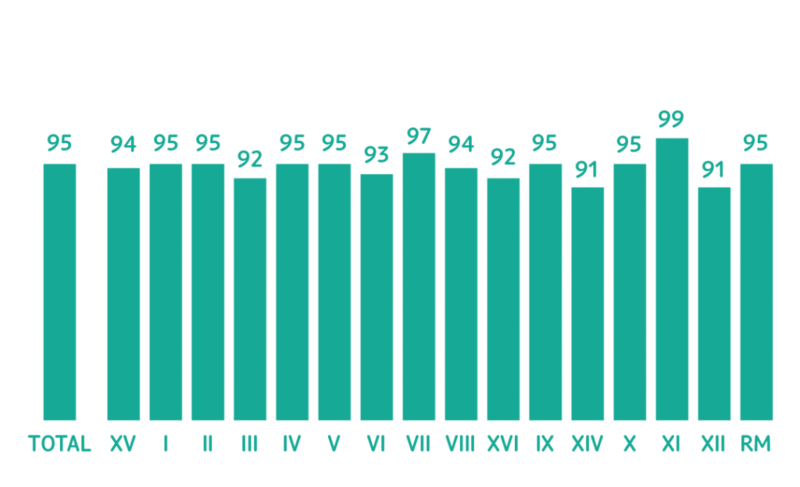 En In six months, since his publication in the Official Diary. In this period a maximum of two plastic bags can be delivered to transport goods for each purchase. 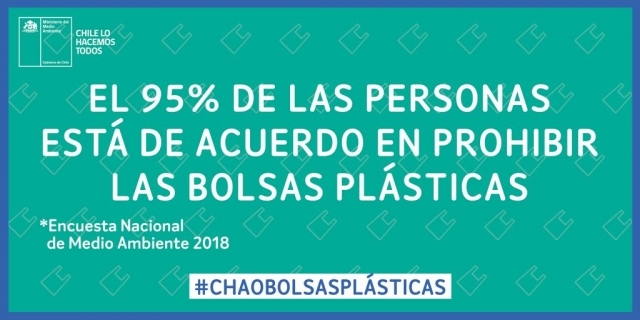 When it will be implemented for micro, small and medium companies? 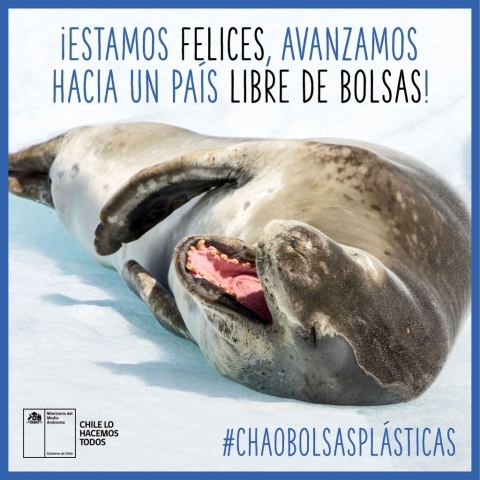 In two years, since its publication in the Official Diary. Can the plastic bags be bought? 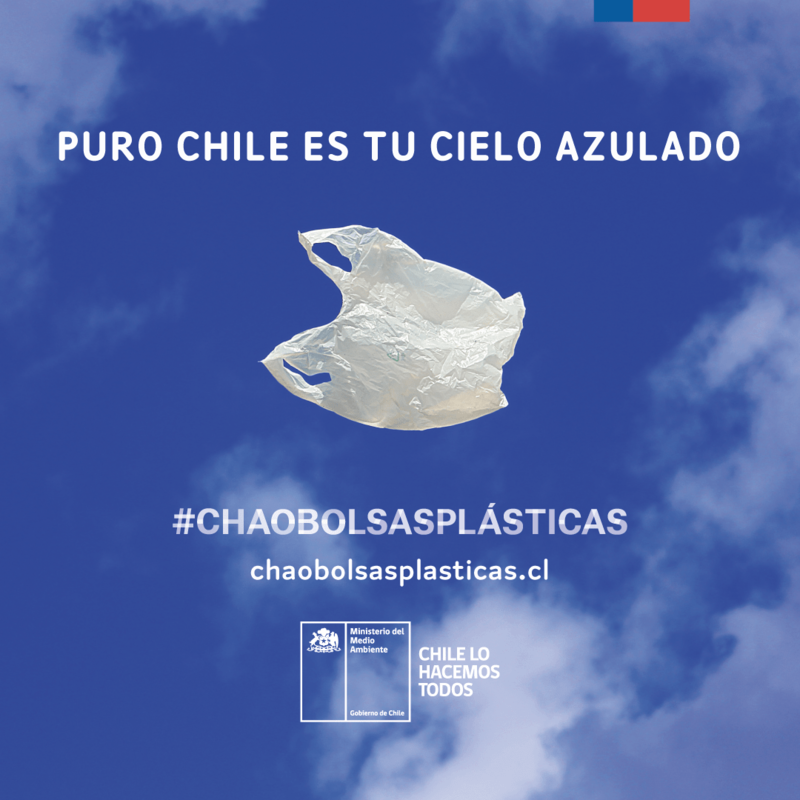 Plastic bags delivered for transportation of merchandise in commerce cannot be distributed for free or sold. Are there biodegradable bags in Chile? 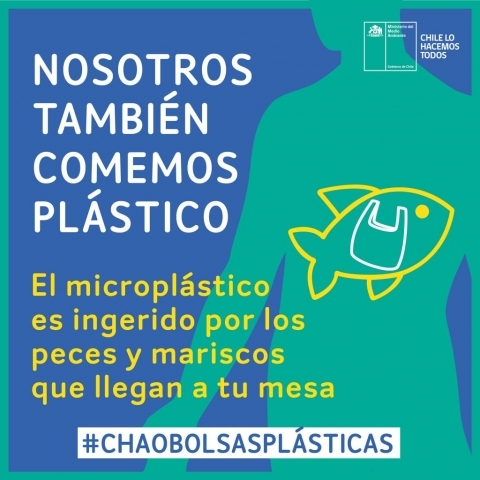 How does it affect primary packaging (bread, fish, legumes, cold cuts, fruits and vegetables, among others)? 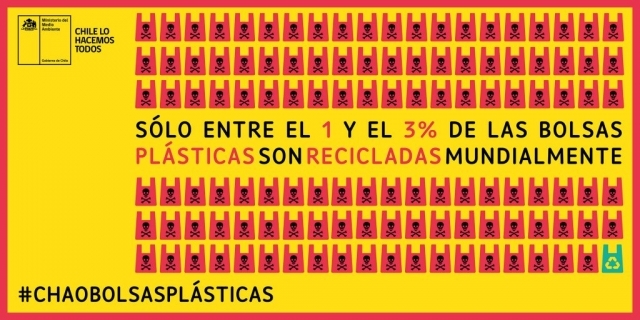 Primary packaging or factory packaged products are excluded from this prohibition. What will we do from now on, with household waste? This bill seeks to regulate the indiscriminate delivery and excessive use of plastic bags in the commerce, but not the prohibition of its sale. 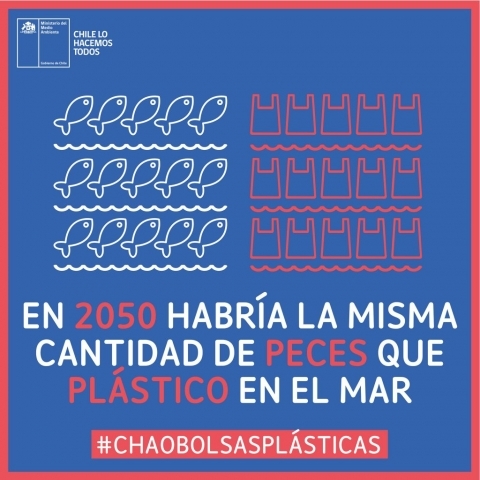 The “T-shirt” type bags, commonly used in commerce, are not designed to contain waste, because when closed, it allows liquids to drain and it breaks easily. 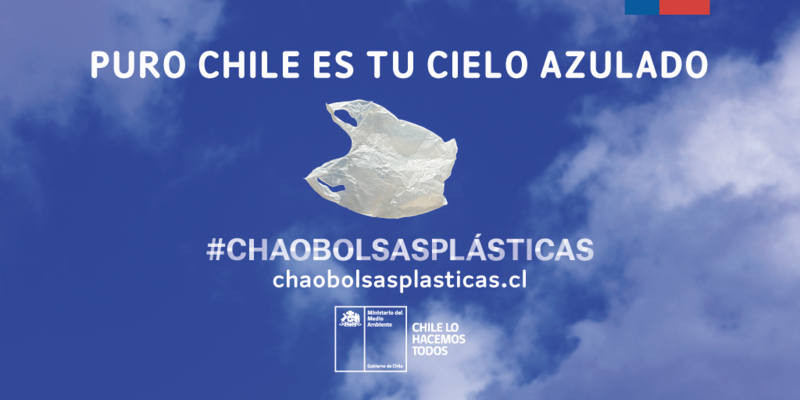 Plastic garbage bags are specifically made for waste management until final destination. 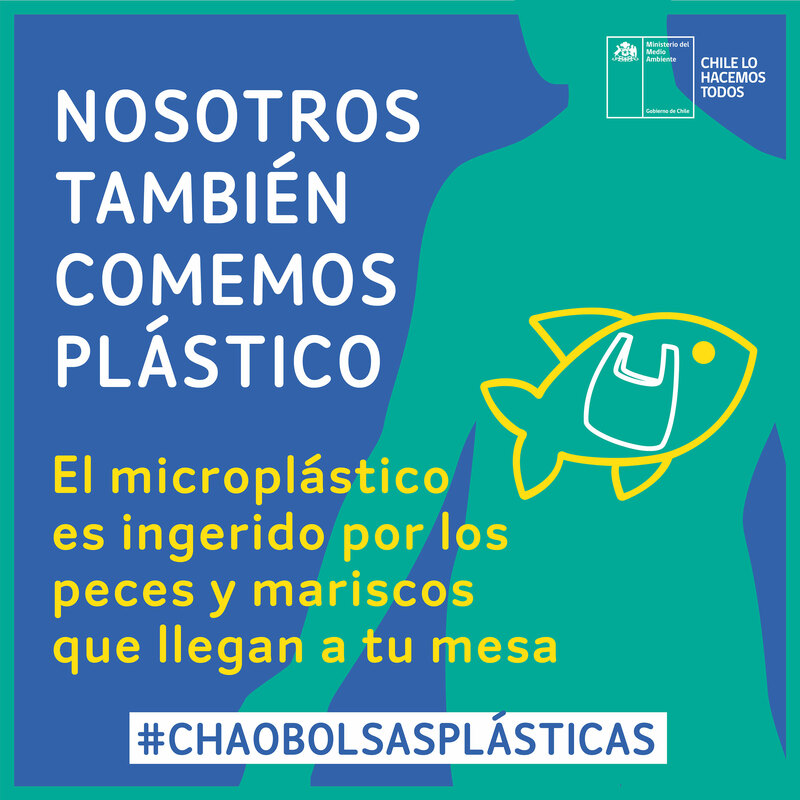 It is recommended to use them and separate plastic bottles (PET), glass containers, tetra pak, paper, and cardboard for recycle. With this simple actions, the volume of waste will be considerably diminished. 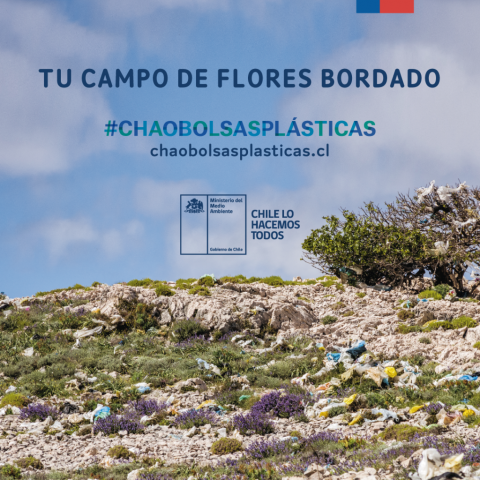 What is the citizen’s role? 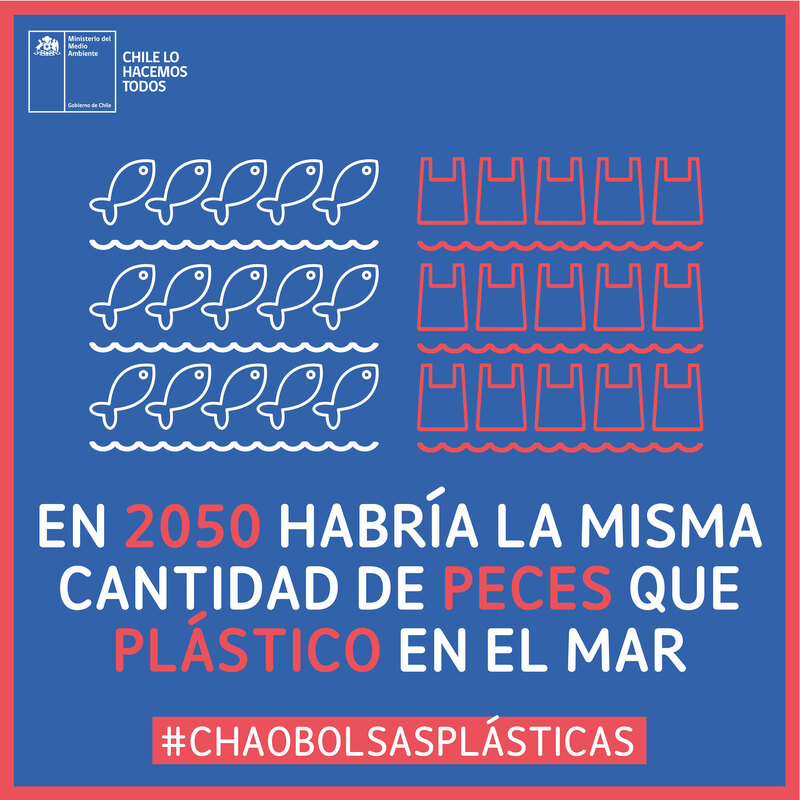 We know that this is a huge challenge for citizens and will require profound changes in our habits. 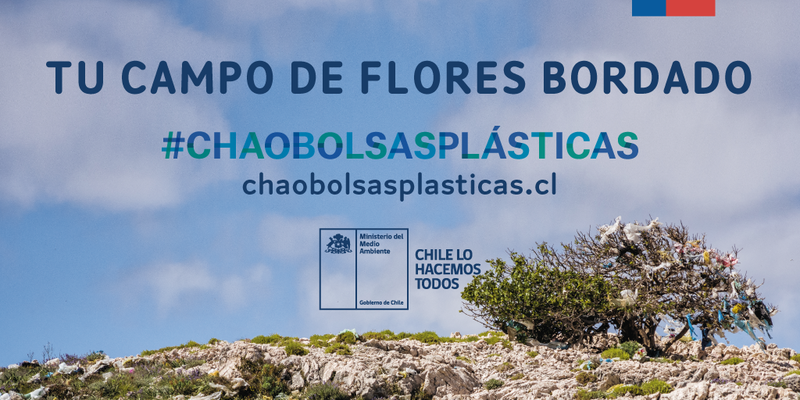 With the contribution of all of us, our children will be able to be in a more responsibly country and committed with the environment. A more sustainable country is everyone’s obligation and it is worth the effort.